Iron Fist season 2 by no means fixes what is inherently wrong with Danny Rand’s story, but it’s definitely a step in the right direction. After I saw Iron Fist season 2 footage at San Diego Comic-Con 2018, I decided I would give the show another chance. 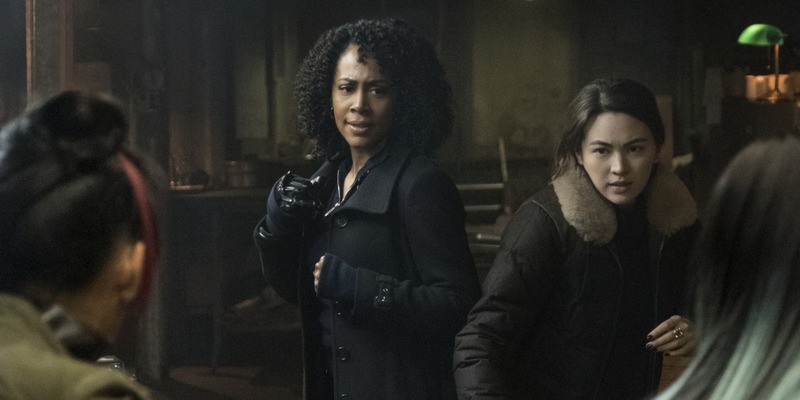 My interests can be summed up with the words fight choreography and Colleen Wing, and it looked like season 2 would give me both of those in spades. After watching the first six episodes of Iron Fist season 2, I can happily say I got what I wanted. However, that doesn’t mean Danny’s story has become less problematic. My intention is not to advocate for this show, as the issues with the series can be traced all the way back to the source material. An adaptation would only place those problems on a different platform. For those of you who were interested to see if and how Iron Fist could improve upon its freshman run, I’ve got some spoiler-free thoughts below. Season 2 drops all episode on Friday, September 7, 2018. Let’s start with the good. The fight choreography in season 1 was subpar, to say the least. Executive Vice President of Marvel Television Jeph Loeb touched on this issue at SDCC and promised they were upping their game in season 2. Even from the footage at Comic-Con, I could tell Loeb was serious about making this a priority for the show. I’m by no means an expert, and I can’t attest to anyone’s skill level, but I do love watching stunt work, and season 2 feels like it’s making a much-needed change in this department. The camera lingers on the actors as they work through more intricate choreography, putting the fights on display in a way that many fans were expecting to see in season 1. Danny Rand’s performances are, unfortunately, forgettable, even as he is supposed to be one of the best martial artists in the world. Colleen, however, is often put into the spotlight in a way we rarely saw her in season 1. Her fight scenes are visceral, complex, and memorable. She fights hard and she fights smart. Danny should be taking notes. Speaking of Colleen, Iron Fist season 2 allows Henwick to step up beside Danny as an equal in terms of story and plot. In the first half of the season, she has her own mystery to solve, and while Danny may find himself on the periphery once in a while, he’s careful never to take over. Rather than making me happy about Danny’s growth, it just makes me wish Colleen could have her own TV show. And there’s no one who would be better to join her than Misty Knight, who shows up in season 2 with the same kind of gravitas we’ve always gotten from her. This show is better when Misty is around, not only because she brings a new dimension to the group, but because she and Colleen have a chemistry you just can’t ignore. The Daughters of the Dragon deserve to have their own spinoff, and these two actresses would have absolutely no trouble carrying the weight of a series on their shoulders. We always knew Colleen and Misty could hold their own around Danny, but what about newcomer Alice Eve as Typhoid Mary? I’m happy to report that the character is everything I hoped she’d be: complex, enigmatic, and tough. Not only does she have the intricacies of her own fight choreography to contend with, but Eve must balance her character’s multiple personalities, too. Not only is the switch between the personalities flawless, but Eve brings a level of humanity to whichever version of the character she’s portraying. Even when Mary is being a frightening antagonist, you feel for her situation and you want her to succeed in her ultimate goal. It’s not as easy to feel for all of the other characters, however, and this is where the show starts to devolve. 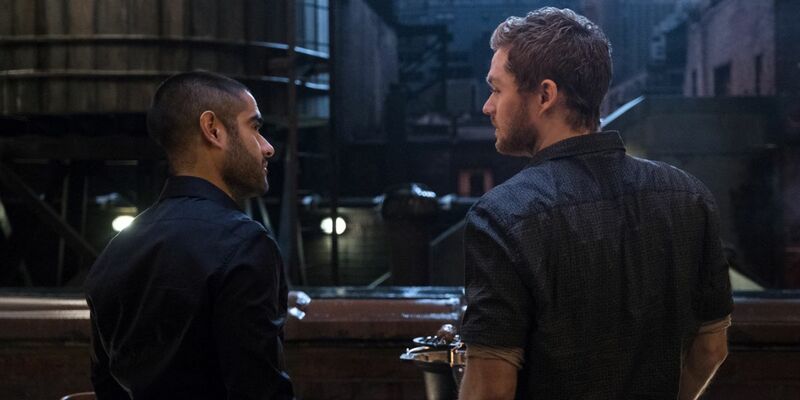 Davos returns in Iron Fist season 2, angry that Danny has what he considers his birthright. 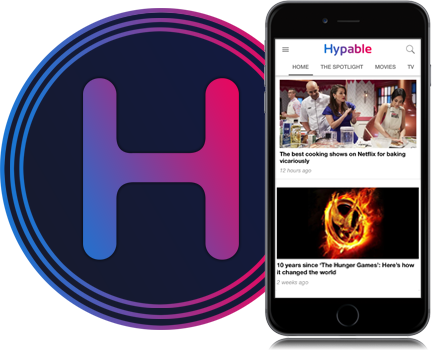 Although Sacha Dhawan plays him with subtlety and nuance, it rather feels like two boys fighting over a toy that neither one of them deserves. In fact, both Joy and Ward can also be described as complaining children, unable to move past what happened in season 1. Both of them deserve a modicum of sympathy — their father was a psychopath, after all — but this plotline only hinders the forward momentum of the story. I would have rather seen any vestiges of the previous season locked away in a box in order to start the series anew. Unfortunately, Danny’s story is no more interesting than it was in season 1. While the show has attempted to make him a better friend, a better boyfriend, a better brother, it feels like a band-aid covering a gaping wound: Underneath the surface, it’s just as bad as it’s always been. There are some lines throughout Iron Fist season 2 which are obviously meant as clear messages to the fans. They say, in one way or another, “We heard you. We’re attempting to fix what is wrong. We’re trying to do better.” While some of these attempts land, a few feel merely like lip service. At the end of the day, I’m never going to like Danny Rand. I find him boring, naive, and patronizing. But Iron Fist season 2 finds a way to allow other characters to share his spotlight, and that, at the very least, is a good place to start in improving this series.